Those who play SuperBru will testify that players rarely pick with their head when it comes to their chosen team, more often than not their heart dictates their choices. Having been playing for a good four years, I can count with 7 (at most) fingers how many times my vote has gone against the Bulls – (New Zealand tours are usually uncooperative). 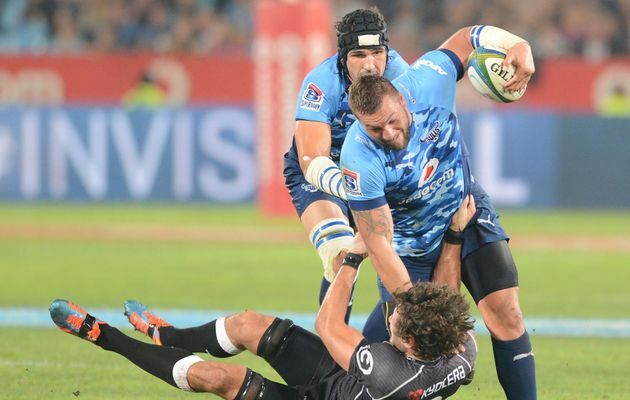 One of those rare times (unpleasant as it was), was Bulls’ trip to the Shark Tank, the ‘I-don’t-want-to-talk-about-it’ first week of Super Rugby Competition. Let’s face it, very few teams can go to Jake White’s house and not leave empty-handed, my Bulls didn’t stand a chance. So Week Five, the Pretoria outfit had paid its dues and revenge was on the cards. Very few Sharkies gave them a chance, and when Bulls were 7 points down, their voices were getting louder and my confidence in my ‘Cows’ (seriously, I have a Yankee mate who still calls them this) was slowly diminishing. Looking at #VodacomRugbyStats my momentary lapse in faith was fully justified. In the end Bulls made 102 tackles with only 57 forced on Sharks. 8 turnovers won while the Sharks were superior by two. However with two tries to one and a superior penalty conversion plus a drop-goal, Frans Ludeke applied the same house rules as his side ended the encounter with a 23-19 victory. With first-choice captain Pierre Spies and second stringer lock Flip van der Merwe not considered to lead due to injury, the out of retirement Victor Matfield was assigned a role he last had in the 2011 season. And the 36-year old was on song, and proved to be the in form, fit and number 5 in the country right now, fuelling the flames of the promise of his return to the Springbok jersey. As ridiculous as it is, we knew it (his return) was on the cards, but now it seems definite fait accompli. A natural born leader, he got into character like he’s never left (well technically he hadn’t. Even from the sidelines you could see him “leading”). One thing is certain, the turn-around in Bulls campaign can be contributed to his outstanding dominance in line-outs. Well if not that, Sharks will be left wondering, as they were set to convincingly claim the SA conference. If nothing else, this conference is now wide open. And yes, even the Bulls now have a shot. This entry was posted in rugby and tagged Blue Bulls, Frans Ludeke, Jake White, Sharks, Super Rugby, Superbru, Victor Matfield. Bookmark the permalink.